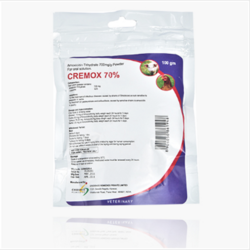 Manufacturer of a wide range of products which include credox n (doxycycline 100 mg and neomycin sulphate 100), credox t (doxycycline 100 mg and tylosin tartrate 100 mg/ml), neorem (neomycin sulphate 300 mg/gm), sinoprim forte (sulphadiazine 400 mg and trimethoprim 80 mg), tetraz (chlorotetracycline 200 mg/gm) and amprodex (amprolium hcl 300 mg/gm). 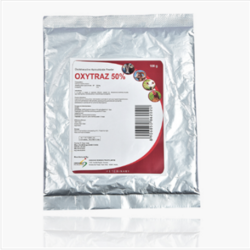 Gastrointestinal and respiratory infections caused by doxycycline and neomycin sensitive micro-organisms like Bordetella, Campylobacter, Chlamydia, E. coli, Haemophilus, Mycoplasma, Pasteurella, Rickettsia, Salmonella, Staphylococcus and Streptococcus spp. in calves, goats, poultry, sheep and swine. Packing A standy sachet of 100 gram. Gastrointestinal and respiratory infections caused by tylosin and doxycycline sensitive microorganisms, like Bordetella, Campylobacter, Chlamydia, E. coli, Haemophilus, Mycoplasma, Pasteurella, Rickettsia, Salmonella, Staphylococcus, Streptococcus and Treponema spp. in calves, goats, poultry, sheep, and swine. Calves, Goats, and Sheep: Twice daily 5 g per 100 kg body weight for 3 – 5 days. Poultry and Swine: 1 kg per 1000 – 2000 litres of drinking water for 3 – 5 days. 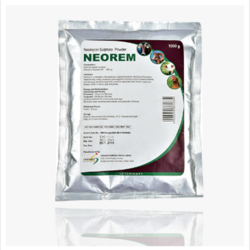 Neomycin is indicated in the treatment of general bacterial infections of the gastro-intestinal tract, mainly caused by gram-negative bacteria, control of bacterial enteritis and neomycin sensitive organisms commonly associated with Chronic respiratory disease (CRD) in calves, pigs and poultry. Prevention: 100 gm per 240 litres. Treatment: 200 gm per 240 litres. Continue treatment for 4 to 6 consecutive days. Medicated water should be administered and used within 24 hours. for pre-ruminant calves, lambs and kids only. 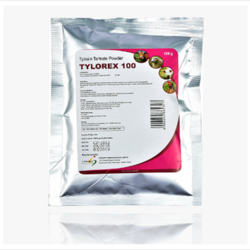 Poultry For The Treatment of Mycoplasmosis: 110-300 mg per Kg body weight or 1-3 gm per litre of drinking water for 7 days or 2 gm per kg of poultry feed for 7 days. 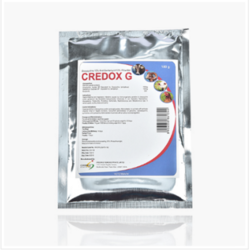 1 gm Cotra-Vet Powder per Kg of poultry feed for 5-7 days. For the treatment of other bacterial diseases of poultry: 125-250 mg per Kg body weight or 2.5 gm per litre drinking water for 7 days or 2-4 gm per Kg poultry feed for7 days. To improve FCR, to increase weight & production of poultry: 50-100 gm per 100 Kg poultry feed regularly. 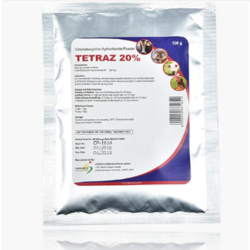 Calves, goats and sheep: 5 gm Cotra-Vet Powder per 25 Kg body weight twice daily for 3 – 5 days. Calves, Sheep, Goats: 8 days. 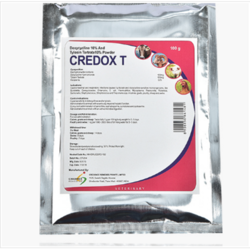 Amprodex is indicated for coccidiosis caused by coccidia susceptible to amprolium (Eimeria spp.) or gastrointestinal infections for which it is therapeutically or prophylactically indicated to administer amprolium in calves, goats, sheep, and poultry. Preventive: 1 g per 60 kg body weight through drinking water or milk for 21 days. Preventive: 1 kg per 5000 litres of drinking water for 1-2 weeks. Mix Amprodex daily with fresh water or milk. Not intended for hens producing eggs for human consumption. In severe cases curative treatment may be followed by preventive treatment. Gastrointestinal and respiratory infections caused by tylosin sensitive micro-organisms, like Campylobacter,Mycoplasma, Pasteurella, Staphylococcus, Streptococcus and Treponema spp. in calves, goats, poultry, sheep and swine. Calves, Goats and Sheeps: Twice daily 5 g per 220-250 kg bodyweight for 5-7 days. Poultry: 1 kg per 1500-2000 liters of drinking water for 3-5 days. Swines: 1 kg per 3000-4000 liters of drinking water for 5-7 days. For pre-rumiant calves,lambs and kids only. 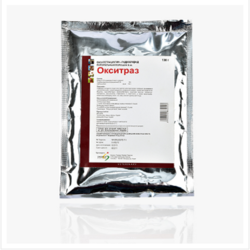 Treatment and prevention of protozoan diseases in cattle, sheep, goats, horses and dogs. Trypanosomosis caused by Trypanosoma congolense, T. vivax, T. brucei, T. evansi and T.equiperdum. Piroplasmosis caused by Babesia bovis, B. bigemina, B. ovis, B. motasi, B. divergens, B. caballi,B. equi, B. gibsoni and B. canis Theileriosis caused by Theileria annulata. General dose is 3.5 mg/Kg body weight. Dissolve the content of one sachet (2.36 gm granules) into 15 ml of sterile distilled water to produce 7% aqueous solution. Inject 0.5 ml per 10 Kg body weight. (Each sachet is sufficient for 300 Kg of body weight). We feel proud to introduce ourselves as one of the well-known manufacturers, exporters, and suppliers of Amprolium HCl 30% Powder. The offered amprolium HCl powder is widely used for the treatment of infection sin calves, goats, sheep, and swine. 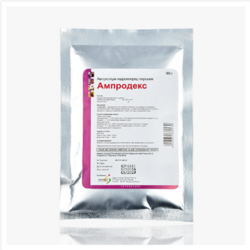 Our exported amprolium HCl powder is very effective in curing the parasitic infection of the intestinal tract of animals. 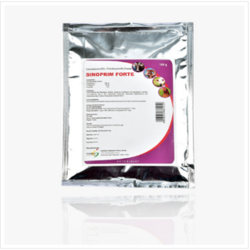 The supplied amprolium HCl powder ensures the prevention of disease spread among animals. 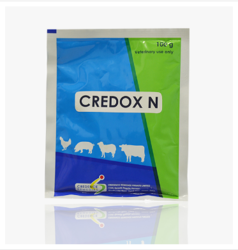 Indications: Amprodex is indicated for coccidiosis caused by coccidia susceptible to amprodium, it is used in calves, goats, sheep, and poultry. Gastrointestinal and respiratory infections caused by micro-organisms sensitive to doxycycline and/or gentamicin like Bordetella, Campylobacter, Chlamydia, E. coli, Klebsiella, Haemophilus, Mycoplasma, Pasteurella, Rickettsia, Salmonella, Staphylococcus and Streptococcus spp. in calves, goats, poultry. For pre-ruminant calves, lambs and kids only; not for use in lactating animals and layers. It is used in cases of bacterial infection caused by streptococci, clostridia, brucella spp., Haemophilus, Corynebacteria, E.Coli and large mycoplasma. Prevention: Half the treatment dose or 250 gm/ton feed for 5-7 days. Treatment: 50 gm/200 liters of drinking water for 5-7 days. Prevention: Half of the treatment dose. Treatment: 50 gm/200 Litres of drinking water 3-5 days. For the treatment of infections diseases caused by strains of streptococcus suis sensitive to Amoxicillin in swine. 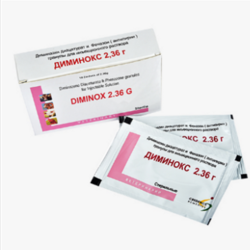 For treatment of pasteurellosis and colibacillosis, caused by sensitive strains to amoxicillin In poultry. Chicken: 15 mg of amoxicillin/kg body weight each 24 hours for 5 days. Not authorized for use in laying birds producing eggs for human consumption. Do not use within 4 weeks of onset of the laying and during laying period. Calves, Goats and Sheep: Twice daily 1 g per 50 – 100 kg body weight for 3 – 5 days. Poultry and Swine: 1 kg per 5000 litres of drinking water for 3 – 5 days. Looking for Water Soluble Powders ?